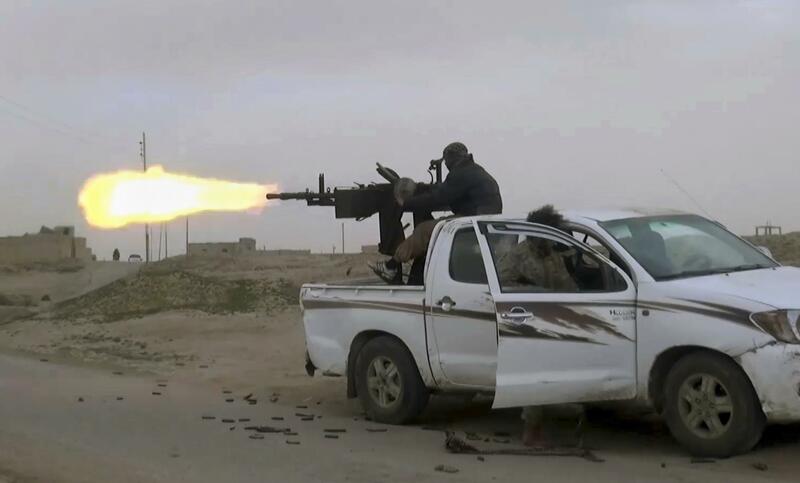 Sat., Feb. 9, 2019, 12:58 p.m.
BEIRUT – U.S.-backed and Kurdish-led Syrian forces said Saturday they have launched a final push to defeat the Islamic State group in the last tiny pocket the extremists hold in eastern Syria. U.S. officials have said in recent weeks that IS has lost 99.5 percent of its territory and is holding onto less than 2 square miles where the bulk of the fighters are concentrated. But activists and residents say IS still has sleeper cells in Syria and Iraq, and is laying the groundwork for an insurgency. The U.S. military has warned the group could stage a comeback if the military and counterterrorism pressure on it is eased. Published: Feb. 9, 2019, 12:58 p.m.